Since Mario’s debut videogame adventure in the classic 1981 arcade game Donkey Kong, he’s found a whole zoo’s worth of wild power-ups based on real animals. Let’s take a trip down memory lane! This odd piece of yellow and brown fuzzy fungus made its debut in the Super Mario Galaxy series, where it turns Mario into Bee Mario. 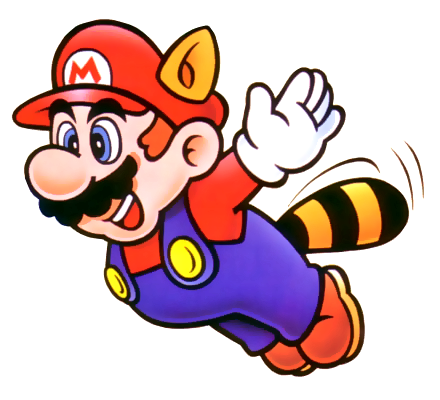 As Bee Mario, he can fly for short distances and climb up walls made of honey comb, but he’ll instantly turn back to plain old Mario if he comes into contact with water. 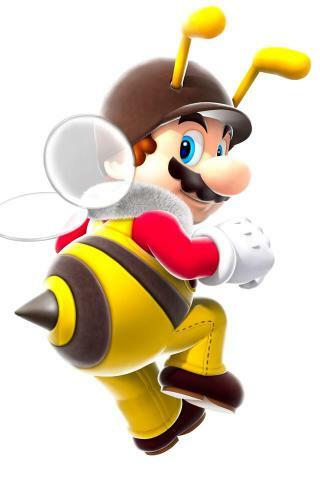 Too bad Bee Mario can’t stomp on Goombas with that stinger! 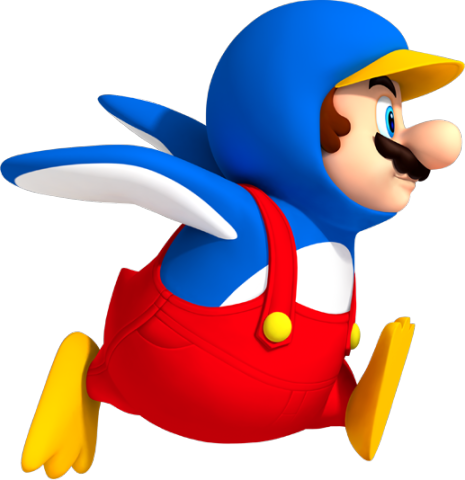 When Mario, Luigi or one of their Toad friends dons the Penguin Suit, they have a much better grip when walking on icy surfaces, slide for long distances over water, swim with greater accuracy and most importantly, they can sling ice balls to freeze baddies. This slick outfit became available in New Super Mario Bros. Wii, where it’s been a staple of the series ever since. Super Acorns give Mario and crew abilities similar to a flying squirrel’s in New Super Mario Bros. U, including limited fight, a mid-air double jump and the ability to grip onto vertical surfaces as a climbing squirrel would. Bowser sure messed up when he threw Mario into the giant Acorn Tree, scattering these awesome treats across the kingdom! Sure, it’s similar to the Super Leaf, but New Super Mario’s Super Acorn power-up is just so cute. 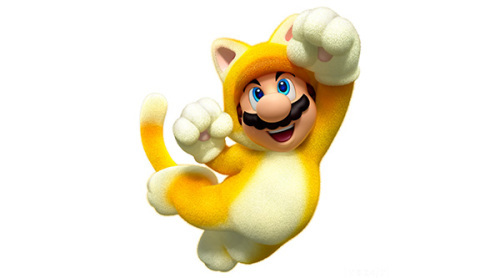 The newest creature power in Mario’s ever-expanding bag of tricks is Super Mario 3D World’s Super Bell, which turns him into Cat Mario. When Mario, Luigi, Princess Peach and their Toad friend have Cat abilities, they run on all fours, pouncing at Koopas like curious kittens and climb straight up walls with their new claws. Get ready to tear up the curtains in Bowser’s Castle, as this Wii-U exclusive releases on November 22nd! 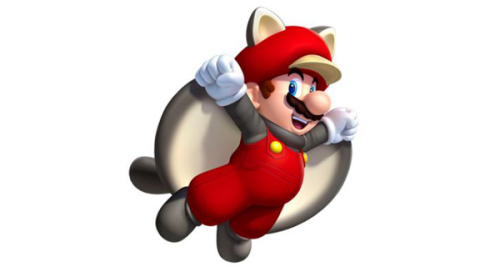 I’m sure that many of you animal fans and videogame enthusiasts overlap, so which one of Mario’s fauna-based power-ups is your all-time favorite? I’m still holding out for an invisible Chameleon Suit myself. Share your Mario memories in the comments below!